Coffee lovers are being conned by suppliers fraudulently mixing inferior beans into products labelled 100% Arabica, scientists have learned. The discovery came to light as a result of British researchers trying out a new and more accurate method of testing coffee quality. As part of the study, members of the team and collaborators around the world bought samples of coffee on sale at shops and supermarkets. 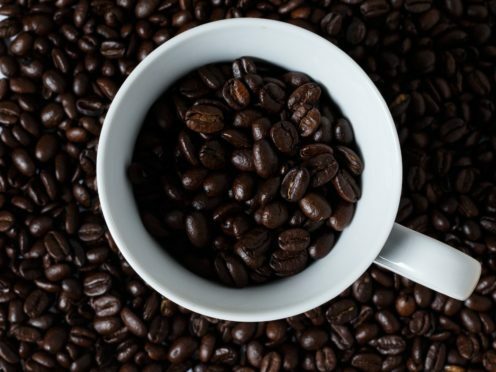 They found that a tenth of high quality products labelled “100% Arabica” contained significant levels of inferior and cheaper “Robusta” beans. Arabica coffee trades at twice the price of Robusta because of its superior taste. Adulteration with Robusta coffee, which is higher yielding and easier to grow, has always been a potential problem. But finding rogue Robusta in a sample labelled Arabica is not easy, especially after grinding and roasting. The standard technique detects the fingerprint chemical 16-OMC, which is only found in Robusta coffee, but is costly and takes three days. This makes large scale surveillance impractical. The new method takes only 30 minutes and is sensitive enough to detect just 1% Robusta in a blended coffee. For the study a total of 60 different coffee samples were purchased in consumer countries around the world, including 22 from the UK. All were tested for 16-OMC using the new nuclear magnetic resonance (NMR) technique, which employs radio waves and strong magnetic fields to obtain detailed information about a substance’s molecular composition. “It was immediately obvious using our test that there were several suspicious samples, producing results that were consistent with the presence of substantial amounts of Robusta – far more than would be expected through unavoidable contamination,” said Dr Kemsley. Two of the samples flagged as “suspicious” were bought in the UK. One contained 1.6% Robusta and the other 21.7%. Other UK samples had notable levels of 16-OMC but fell below the “suspicious” threshold. Suspicious samples were also obtained from the US, Italy, France and Estonia. One US sample was a third Robusta, despite being labelled 100% Arabica. A spokesman for the Quadram Institute said it was not possible to name the brands involved. The findings not only affect consumers, but also undermine efforts to ensure that smallholders in developing countries are paid a fair price for the coffee they grow, said the researchers. The research, published in the journal Food Chemistry, was funded by the Biotechnology and Biological Sciences Research Council (BBSRC) and had no support from the coffee industry. Giles Chapman, head of intelligence at the Food Standards Agency’s National Food Crime Unit, said: “We’re always keen to understand how scientific advances expand the range of tools which can be used to validate the authenticity of food products sold to UK consumers. Chris Stemman, executive director of the British Coffee Association, said: “The BCA welcomes the new insights that the Quadrum Institute are able to provide in determining what types of coffee make up specific products on sale. “This is an important and easily accessible tool that could potentially be applied as an assurance measure along the coffee supply chain, so that authenticity can be checked and validated at all stages from farm to cup.